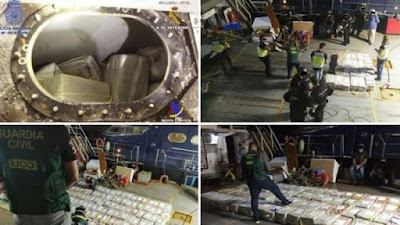 Nearly four tonnes of cocaine worth an estimated $280m (£220m) have been seized in the Atlantic. 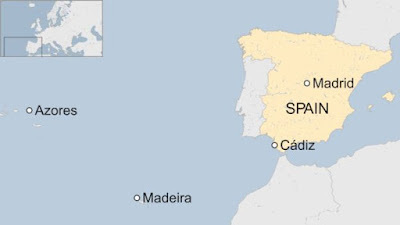 The drugs were found on a boat between Portugal's Madeira and Azores islands. 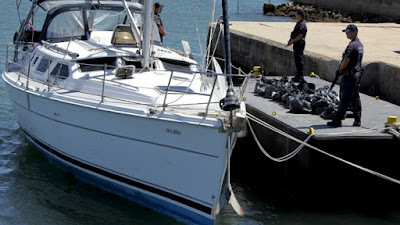 Officials found 165 individual packages of cocaine weighing 23kg - a total of 3.7 tonnes - concealed on the vessel. 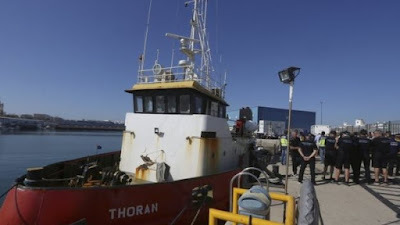 The Comoros-flagged vessel was towed into the Spanish port of Cádiz on Friday after Spanish officials received intelligence from the UK's National Crime Agency (NCA). 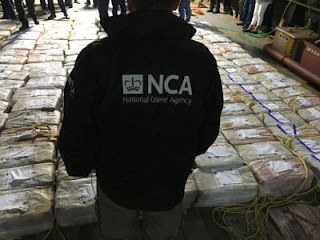 This latest bust followed another major bust last week of 2.5 tonnes. 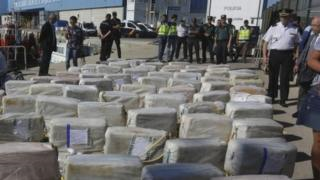 The amount of cocaine produced in Colombia increased from 270 tonnes in 2013 to 910 tonnes in 2016. This is about 90% of world supply.